How do you move an entire town to a new location? Very carefully. What happened to the houses, stores, and buildings that were threatened by the rising water of Lake Roosevelt in 1941? Some were torn down and their materials reused. Some were burned. Others, if in good condition, were actually picked up and moved. The church in the picture above is a perfect example. It moved slowly up the hill to avoid the flooding waters that covered the arid landscape with hundreds of feet of water. The filling of the reservoir behind the 550 foot Grand Coulee Dam forced every animal and human that called the river banks home to relocate and change their way of life. The Works Progress Administration, a New Deal Agency designed to put men to work, was responsible for clearing everything, including houses, railroad tracks, and trees, below an elevation of 1310 feet. Within the evacuation area were over a dozen towns and cities of varying sizes. One of the largest of those cities was Kettle Falls. In the mid 1930s the residents of Kettle Falls began eyeing a new location for their city. According to the National Park Service, they were “unable to obtain land adjacent to St. Paul's mission, their first choice for a new town site.” Instead “Kettle Falls residents annexed the nearby higher town of Meyers Falls and a strip of land along the state highway connecting the two communities.” Once Meyers Falls was annexed the residents voted to change the name to Kettle Falls. The residents began moving their homes and businesses up the hill to newly annexed areas. Walking through Kettle Falls today you would see many houses and buildings that were moved in the 1930s from the town site at the river’s edge. 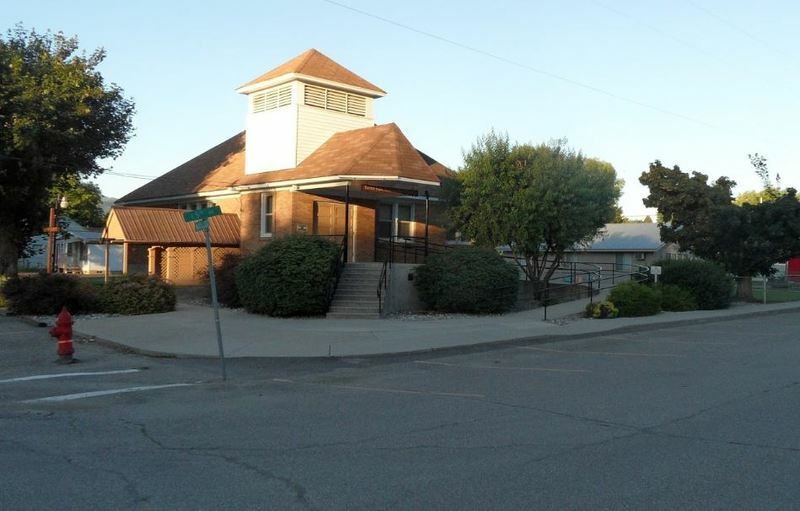 The Kettle Falls Community Church was originally built in the old town and it is still in use today. Parishioners flock from the surrounding areas to attend service on Sundays, much like they did before the church moved in the 1930s. How did Kettle Falls get its name? National Park Service Interpreter, Brandon Cadwell, talks about how Kettle Falls got its name. ~ Source: Interview with Brandon Cadwell, 8/7/2017. ~ Creator: Logan Camporeale. 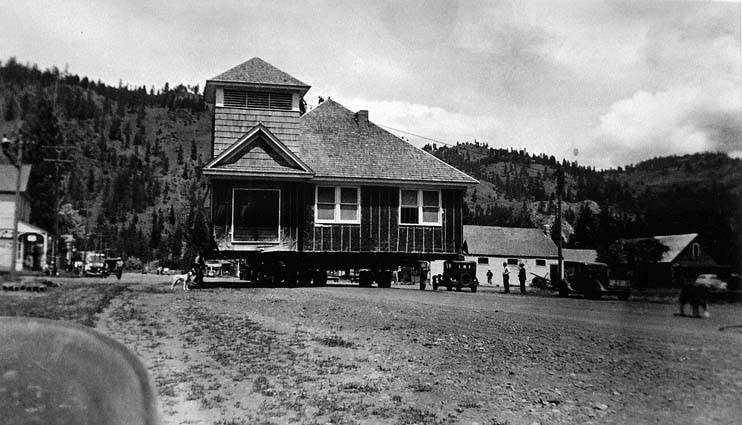 Kettle Falls Baptist Church on the Move: When the rising waters of Lake Roosevelt threatened the buildings in Old Kettle Falls, they moved their Baptist Church up the hill. The building is still being used as church today. ~ Source: Photo courtesy of the Rural Heritage Project, Washington State Library. Church in Kettle Falls: The church at its new location in present-day Kettle Falls. 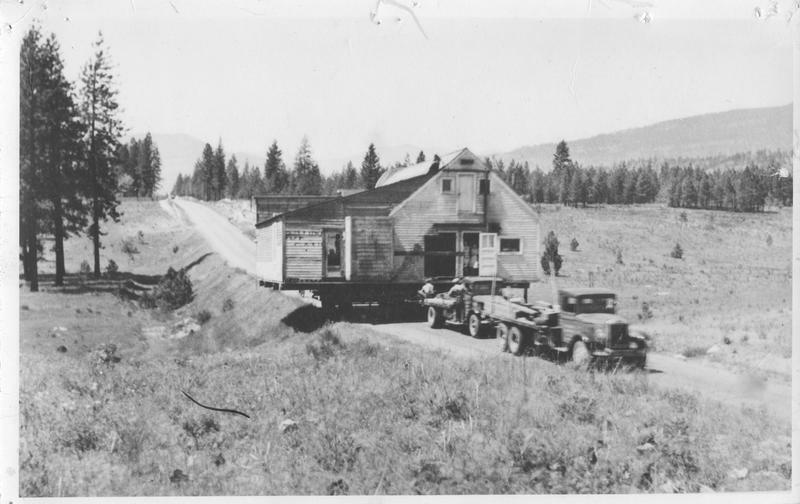 Truck Towing a House on a Trailer: Houses and building were moved by trailer to higher ground to avoid the flooding waters of Lake Roosevelt. ~ Source: Photo Courtesy of Washington State Digital Archives. 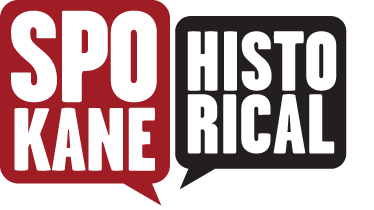 Logan Camporeale, “The City of Kettle Falls,” Spokane Historical, accessed April 21, 2019, https://spokanehistorical.org/items/show/653. "Drowned Towns," Lake Roosevelt National Recreation Area Archive, National Park Service.